As the entertainment capital of the world, it should come as little surprise that Los Angeles is brimming with live music venues. 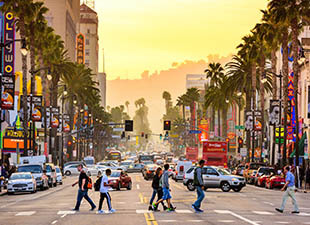 As the entertainment capital of the world, it should come as little surprise that Los Angeles is brimming with live music venues. From exotic world music to folk, rock, or classical, the city’s numerous options cater to all musical tastes, featuring live shows from established superstars to local upstarts available any night of the week. Here are five of LA’s most amazing music venues. 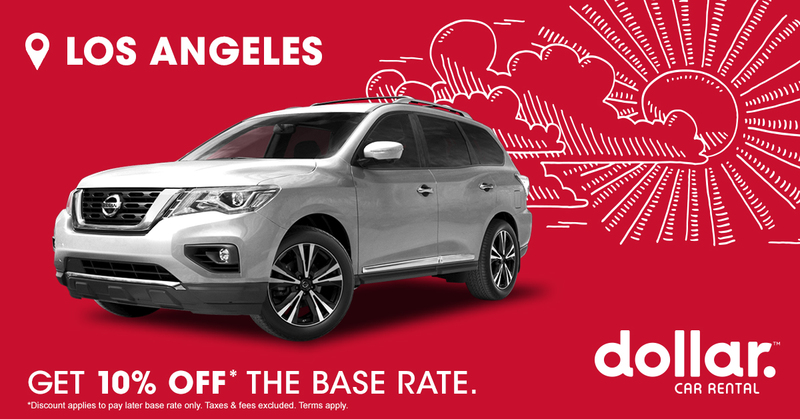 Ironically, Hotel Café is neither a hotel nor a café, though the north Hollywood institution is the ideal place to see up-and-coming singer-songwriters in a cozy, intimate setting surrounded by like-minded music lovers. The two stages offer great acoustics and feature multiple acts almost every night of the year. Besides discovering the next possible superstar, you can occasionally catch the likes of established stars like John Mayer, Martha Wainwright, or Charlotte OC. The granddaddy of all LA music venues, both in iconic history and unrivaled prestige, a performance at the Hollywood Bowl is more than just a show — it’s an event. 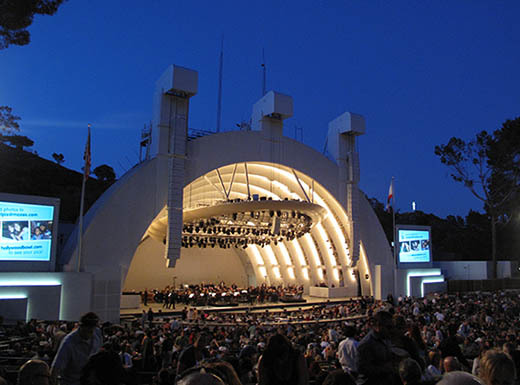 From Louis Armstrong to Pavarotti or Frank Sinatra to the Beatles, the best of the best have performed in this natural outdoor amphitheater set in the Hollywood hills. The summer home of the esteemed LA Philharmonic, other latter-day megastars to play the bowl include Elton John and Adele. Pack a picnic and BYOB, or enjoy the many excellent on-site food options. 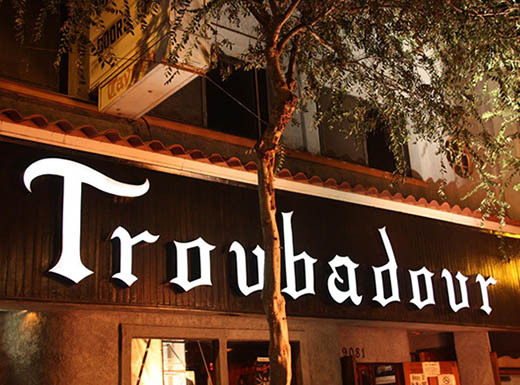 For a city that’s all about the latest thing, the Troubadour has changed little since opening in 1957. But then no other club in LA is linked so closely to the history of rock ‘n roll — one reason it’s often considered the best rock club in the country. So many musical greats have debuted here and continue to perform at the club. The Troubadour is simply a great place to see live music, with impeccable sound, atmosphere, and a discerning booking policy for new and established acts. Located in the hipster haven of Echo Park just north of downtown LA, The Echo is everything you want in a music club — excellent bands almost any night of the week, a great layout, and a well-placed stage to comfortably see the performers. From national touring acts to the hottest local bands, the Echo’s adventurous booking policy skews slightly punk, while notable acts to play the club include Beck, Green Day, LCD Soundsystem, and Kendrick Lamar. 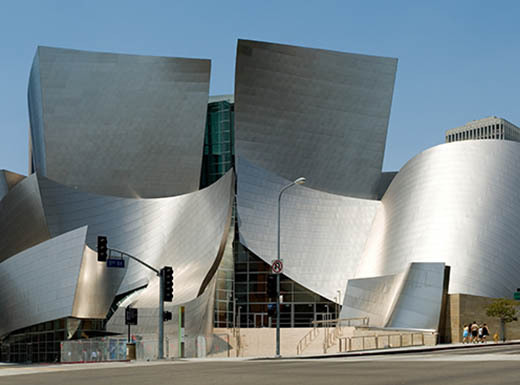 Designed by famed architect Frank Gehry, the Walt Disney Concert Hall is one of the most visually stunning buildings in Los Angeles. The exterior is wrapped in silvery metal sheets that seem to billow like sails in the wind, while inside three types of wood are used in crafting a design that amplifies sound naturally. Acoustically, it’s a masterpiece. 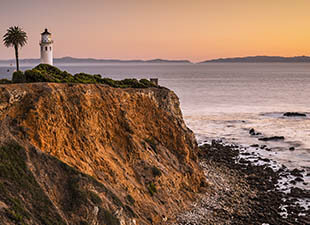 Classical music is most common here, but you can also hear pop, rock, and jazz, from Herbie Hancock to John Legend and Ryan Adams. 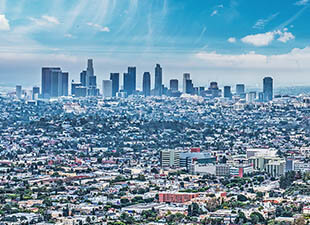 For more tips on LA sights and activities, check out our Facebook page.